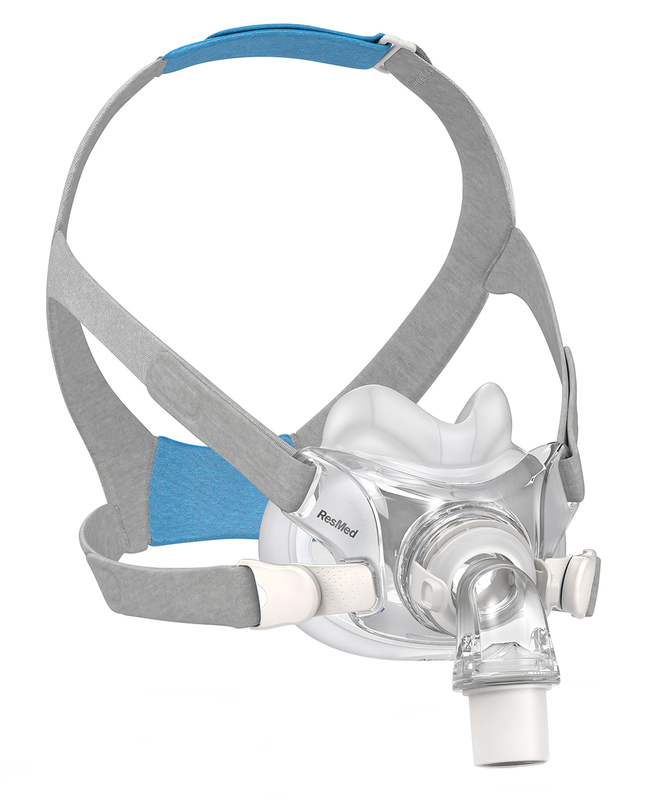 The AirFit™ F30 Full Face CPAP Mask with Headgear was designed to sit low on – and cover less of the face to prevent top-of-the-nose red marks. Plus, this minimal-contact mask is perfect for wearing glasses, sleeping on your side and helping you feel less claustrophobic. The headgear contours to every unique face for an accurate, first-time fit. Padding within the headgear also provides extra comfort. A newly designed cushion delivers a comfortable fit that seals to reduce leakage. 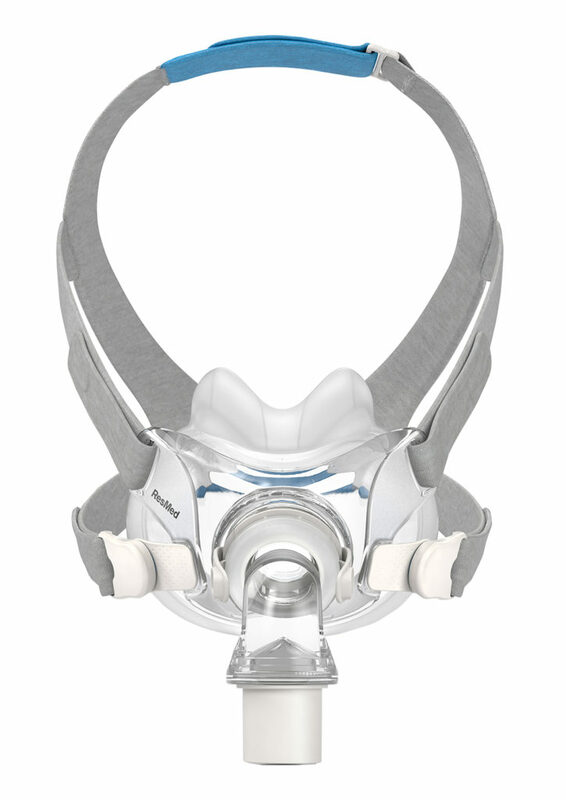 Easy to remove magnetic clips allow you to easily remove and put on the mask when in the dark. 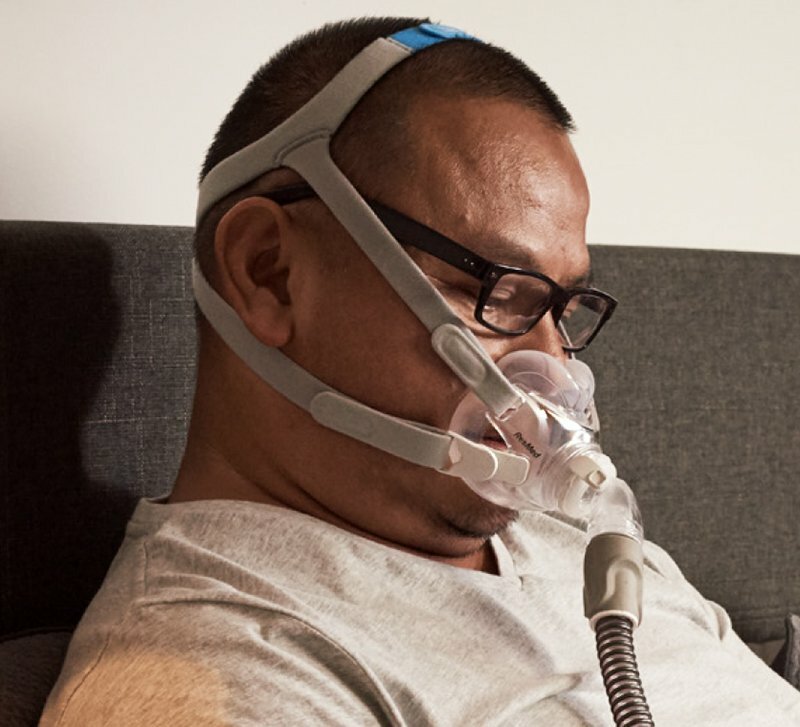 The elbow allows users to disconnect and reconnect to therapy easily, while the QuietAir vent diffuses exhalation to create a quiet space.